More than 100 years later, we are still going strong. National and Wisconsin PTA provide support and training to the WA-WM PTA Council who in turn provides support and training to local units in the West Allis-West Milwaukee school district. Visit the Wisconsin PTA and National PTA websites to find out more information how they are working to advocate all children. 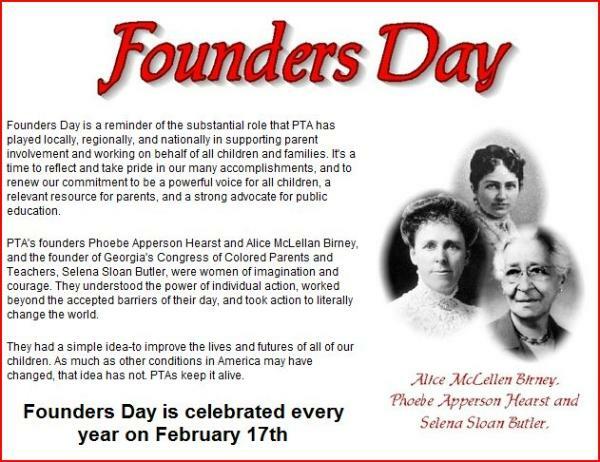 Come & celebrate Founder's Day at the WA-WM PTA Council Carnival held at the West Allis Central H.S. !